Discussion in 'Gambling News' started by Marina, Jan 26, 2014. Microgaming’s ™ latest Slot Game promises to be a sure hit! Another month means only one thing: another great new game from Microgaming! that takes players on a thrilling adventure along with the Knights of the Round Table. of features such as Rolling Reels™, Trailing Wilds™, Extra Wilds and Expanding Wilds. OMG I cant wait to play on this Slot! 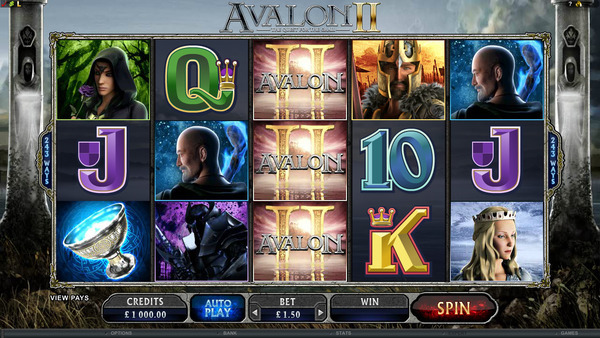 Avalon has always been my favorite slot game and now Avalon II is coming!!! I already liked the Avalon 20 pay line from Microgaming. You have no clue how i'm looking forward to the second Avalon! Avalon II is live now! Have you tried it already? I did and I am totally in love with this new MG Slot! The game is really impressive!